All of this. All summer long. When can we expect you? 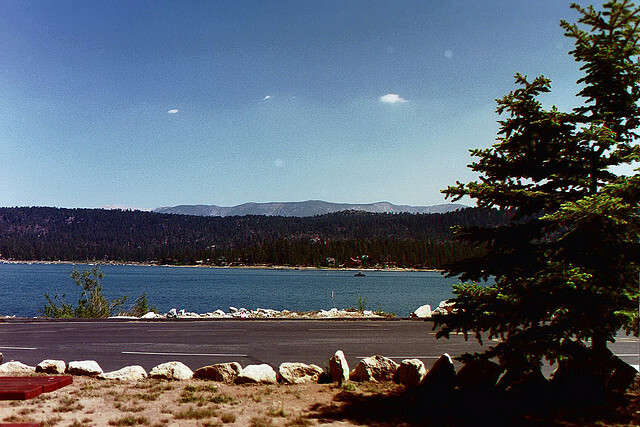 The big question to ask about Memorial Day weekend: what is NOT going on at Big Bear Lake? This is the week the valley officially switches over to all of its summertime shenanigans. The Big Bear Mountain Golf Course will be opening the full course up for the weekend, the anglers will be out in force, and the Sky Chair will open for the weekends to help you get to the top of the mountain. The weather is looking good towards the end of next week, so get those clubs out of the garage and have your bike ready for the trails. The weather looks gorgeous over the next week -perfect for all the outdoor activities going on. This weekend the Old Miners Association kicks off their slate of 2013 summer events with a concert that may bring back a few memories. Last year, a little known country singer named Brent Payne came and sang at Big Bear’s Chili Cookoff. He was such a hit that the Old Miners created the Chuckwagon Concert Series so they could have him back this year! He is now an award winning country singer with sellout crowds from all over the U.S. coming to see his concerts. The event will be held on May 25 at The Bear Cave, and chuckwagon style dinner and drinks will be offered at the concert. This is just the first of many events the Old Miners will be having through the summer, so make sure you are checking the calendar to see what events you will be attending. May is National Military Appreciation Month. The fine people at Open Air Big Bear are sponsoring an event that will help and support the Wounded Warrior Project. They are making a donation for each runner in the event, and invite you to also support the project in any way you can. The people running the race will start and finish in the Village (just a half mile away from us! ), and there will be a Lifestyle Expo going on for those who want to learn more about running and fit living. After the events of the day there will be a special screening of “To Them That’s Gone”, a documentary about one group that ran across the country for wounded vets. A great day running for a great cause! Golfing at Big Bear Mountain Golf Course is only one of the things that you can do in the warm outdoors. The Big Bear Cycling Association has rides almost every day of the week, for riders with almost no experience to those that have been riding for years. The rides are gorgeous, with stunning views on every trail you choose. The Big Bear Discovery Center is moving into high summer gear as well, offering panning for “gold” with the children and free daily nature walks. They will also be offering kayaking and canoeing tours of the lake and rivers, beginning with a short lesson on how to paddle your boat. Do you need more? There is also an antique car show in the Snow Play parking lot; animal feeding tours at the Big Bear Alpine Zoo; live music at many of the bars and restaurants in the area. The list keeps going. To make sure you are close to all of these events, reserve your room now while there is still a broad selection available. This weekend still has some openings as well for the trout and terror combo that will be at the lake. We would love to see you stay with us for the kickoff to summer, and all summer long! Have a wonderful weekend. Gallery | This entry was posted in What to see and do and tagged 5K, Adventure, Big Bear Alpine Zoo, Big Bear CA, Big Bear Discovery Center, big bear lake, biking, boating, cabin, cabins, canoeing, Chili Cook Off, chuckwagon, Chuckwagon Concert Series, cycling, events, fun, golf, hiking, kayaking, lake, Las Vegas, Los Angeles, memorial day, mountain, Old Miners, Open Air Big Bear, resort, running, San Diego, Southern California, summer, three day weekend, travel, trout, vacation, What to Do, wounded warrior project. Bookmark the permalink.